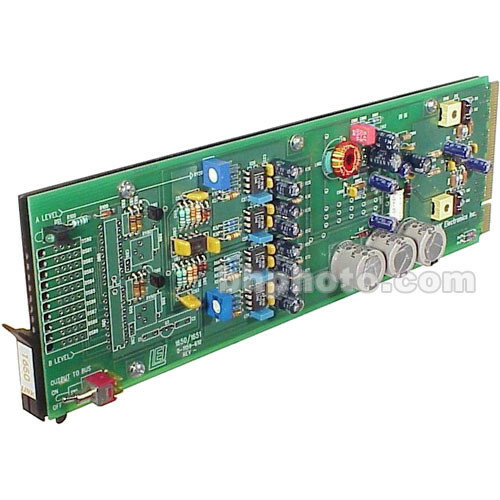 The Link Electronics 16501014 is a 1x8 mono audio distribution amplifier that has the ability to work in a 2x4 configuration; designed to operate in a rack frame it features a wide bandwidth and balanced audio. A bandwidth of 120 kHz will allow for the distribution of SMPTE time code or BTSC Baseband Stereo. This DA can be configured to a 1x8 mono DA or a 1x4 stereo DA. The wide bandwidth allows this unit to distribute SMPTE time code or BTSC Baseband Stereo. Dimensions (WxDxH) 1 x 10 x 3.2"